For the past months I've been on a down low because there has been so much that has been happening in my life. I found myself scowling through the blog and I was reminded as to why I started this blog as I read through my first post titled "Introducing Oyama" this post had an image of me in a tankini (a bikini with a longer bikini top that covers the tummy area). I remember how confident yet conscious I was....as I had a green scarf wrapped around my waist to cover up "those circles on my thighs"
Few months after THAT post, I wore the same tankini and challenged myself to get rid of that scarf and actually swim.
" Oy Oyiiii !!! ... been meanin to ask .. yu c these costumes yu wear, do yu walk arwnd in em of do yu jst take pix?" "Walk around? Dude no! I Swim in them AND obviously take pictures #CozIcan"
A year later from that post, I found myself implementing exactly what I wrote on my blog bio "advocating that societal opinions about yourself shouldn't hinder on your progress in life towards achieving the BEST YOU. I am often known for breaking society's "rules" on what should be perceived as the normative yardstick of how a beautiful woman should be like." 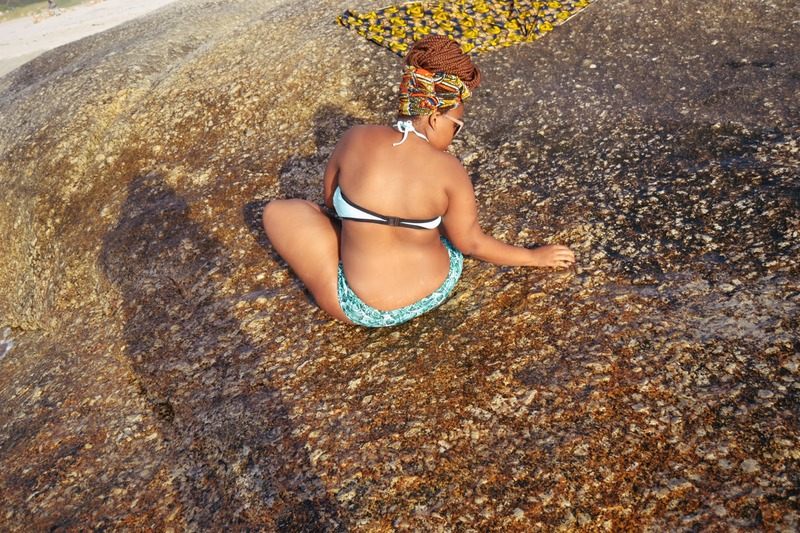 I BROKE THE RULE to the magazines' "ideal bikini body" and I WORE A TWO PIECE BIKINI on a body counter to what the magazines show! YES! I DID! 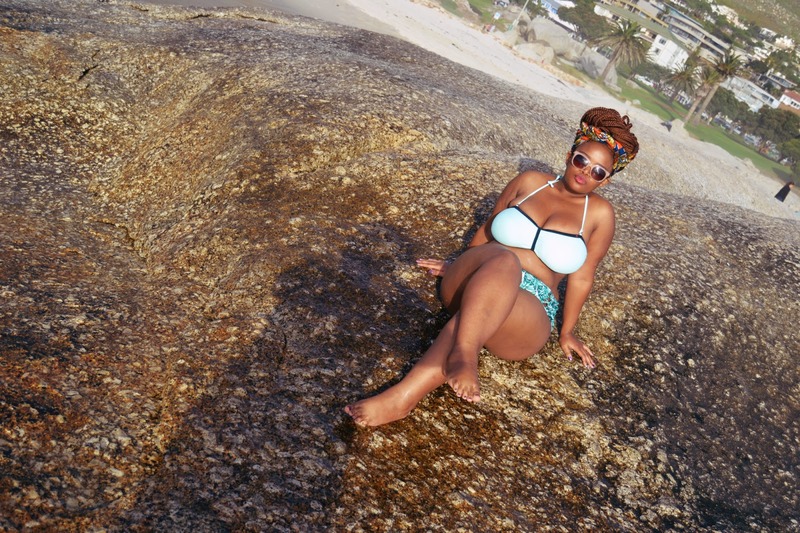 BECAUSE my round and curvy body is ALSO a bikini body...and it felt GREAT! It's TRUE: Thee BEST way to get a bikini body is to wear a bikini with some ooze of confidence honey! This was of course after I was also inspired by Gabi Fresh(one of my favorite bloggers) who wore a two piece black number while she was on holiday...I thought to myself "aaah I CAN do that!" Which really goes back to one of the purposes of the blog...how society's comments can stir you to think that you can not do something, BUT if you challenge yourself enough and look at someone you can relate to, doing something that you would like to do, SURELY YOU CAN! Looking at my progress: from thinking that I could never wear a swimsuit to the beach to challenging myself to wearing a two piece! I couldn't be more proud of myself. Zidle Zithande Zihloniphe ...go out there and find thee most flattering bikini for yourself and ROCK IT! Love the message. You've inspired me. Thank you. You're so inspirational, dont stop girl! Love love love your spirit, heart and confidence. It shines through In your words. 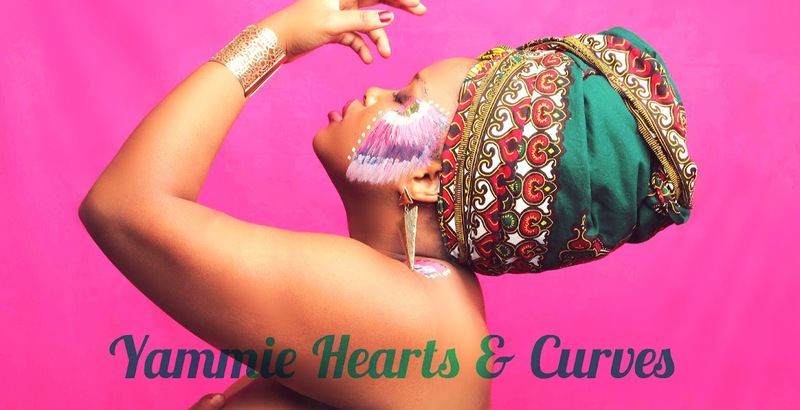 I saw your picture on tumblr (http://curvesandconfidence.tumblr.com/post/129434268997/bigbeautifulblackgirls-oyama-botha) and thought "how I wish I had her confidence". It's great to see your honesty, and how someone else inspires you also. Yes, blogs are wonderful this way.